Finding the right house isn't always easy to do. Often times, buying your first home can be a confusing process filled with uncertainty and hidden costs that don't surface until months or even years later. HVAC equipment is often one of those hidden costs. 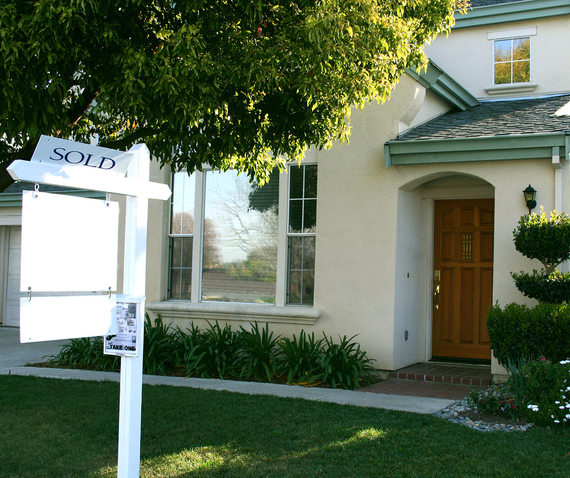 If you are thinking about buying your first home, 2015 may be the year to do it. With low mortgage rates and an increasing number of houses on the market, home buyers have more opportunities to find the right house at the right price than they have in a long time. But finding the right house isn't always easy to do. Often times, buying your first home can be a confusing process filled with uncertainty and hidden costs that don't surface until months or even years later. HVAC equipment is often one of those hidden costs. If you've been a renter all of your life, you probably haven't had to worry much about dealing with heating and air conditioning issues -- except for letting in the HVAC technician when a problem arises. On average, a new furnace can cost anywhere from $2,000 to $12,000 and an AC unit could cost $3,500 to $10,000. If you are looking for a new home, it's important to consider the age and quality of the HVAC system so that you don't end up spending thousands of dollars in extra repairs or unit replacements. First things first, perform a spot-inspection of the heating and cooling units in the home. If you see rust, water marks or any other types of decay, or if you hear loud, strange noises, the systems may be too old. If the AC or heat pump equipment was installed more than 10 years ago or the furnace is more than 15 years old, it may need replacement... especially if it has not been maintained well. Ask the owner for any maintenance records and review any notes the technician may have made to learn more about the system. If the units are old or in disrepair, discuss replacement options with your realtor. It may be possible to negotiate a lower selling price or even have the seller replace the unit before purchasing. If you need to replace your HVAC system, think about replacing it sooner rather than later. Not only will it save money on costly repairs, but since your HVAC system is responsible for almost 50 percent of your utility bill, a newer, more efficient unit can lower your utility bills and save you money long-term. In the long run, your home inspector will look at the units and discuss any technical problems with you, but spending the time to recognize obvious problems on your own may save you from spending money on a home that is not right for you. While you probably aren't a certified HVAC technician, you can still recognize inefficient ductwork. Make the conscious effort to stop and look at the visible ducts in the basement or attic and those that run into the HVAC unit. If you see what many technicians in the HVAC industry have dubbed a "Ductopus," then odds are the house's ductwork may be improperly sized, leaky, or just old. Keep an eye out for rust, loose connections, condensation on the ducts, and gaps where ducts connect to one another. Issues like these can make your HVAC unit work harder than it needs to, costing you more on your energy bills and shortening the life of your unit. Repairing ductwork problems, especially air leaks, is a low-cost initiative that can make a big impact on reducing utility bills. It may not seem important, but ask your realtor about the home's insulation. Insulation is an important tool for helping keep the outdoors out and the indoors comfortable. It helps keep your climate comfortable and creates a barrier from moisture and sound. As you walk through the home, try to be aware of the temperature in different rooms in the house. If you feel any drafts from the outside, or if the temperature in certain rooms is noticeably different than the rest of the rooms, the insulation in those rooms may be lacking. This is especially important in homes with additions, sunrooms, and enclosed porches. If possible, find out as much as you can about the different types of insulation in the home and whether or not they are properly employed. While insulating only an attic may not be very expensive for most, insulating a whole home can be costly. Consider your budget when thinking about purchasing a home with little or no insulation. Air leaks can cost new homeowners hundreds of dollars over the years. If you've just purchased a new home or you think you've found "the one," inspect the seals around all of the doors and windows to make sure they seal tightly. If possible, perform a leak test using a stick of incense. Light a stick of incense and pass it over any window seals or duct connections. If the smoke stays steady, you're good to go. If it starts moving, you've got an air leak you will need to seal so your system runs more efficiently. Many houses have air leaks, and a few here and there should not turn "the one" into a dud. Simply knowing your home will help you make the most out of your investment, so take the time to find out the most you can before you make your decision. Remember: Like a new home, your HVAC system is an investment in your future. As you look for your new home, use these strategies to find a system that will last. With the proper knowledge, care and help from a good technician, you can save yourself money while making your new home your dream home. Will Housh is the founder and CEO of HVAC.com, where consumers can get unbiased advice and answers to all their HVAC questions, shop for parts & supplies from an extensive catalog, and connect with trustworthy local pros.